We have lived in our home for just over a year now and believe it or not I am still trying to find the right pieces to decorate. When we bought our home last April I was pregnant with Giovanni and unable to lift heavy boxes (or anything really) and I was just exhausted all the time, so not much happened as far as decorating came into play. Fast forward to now, over a year later, I can lift those heavy boxes again but I just find that I’m so busy with the kids I never really got around to completing the decorating process. I finally decided to start back up again and that I would do one room at a time. Slow and steady as they go, right? I’m so excited about Gio’s nursery, its my favorite room in our home at the moment – probably because it is the most complete – haha! I have just a few more finishing touches and because of that I am not going to share a picture of the entire room just yet (that post will follow shortly) but I am going to give you a little sneak peak because I just have to share our washable Lorena Canals rug with you all! Isn’t is absolutely gorgeous? Clearly Gio is a big fan! The color and design go perfectly with Gio’s nursery, it was like it was made just for him! The moment it arrived I rushed upstairs to immediately lay it out, and guys, I’m in love! I was a little hesitate about this Zig-Zag rug because of the light areas in it, but guess what?? Its completely washable. Yep, thats right… 100% washable. That takes a huge weight off my shoulders. While I don’t allow food and drink upstairs, it somehow always happens, especially during our family parties and I’m sure you’ve guessed by now that its always a little one who is breaking the rules. Its also usually a little one who happens to spill a little something here or there, so its comforting to know that if something is spilled on our gorgeous rug I can easily pop it into the washer to get it looking as good as new again! If you have checked out the Lorena Canals website before you know they have a ton of colors and designs to choose from. And because I’m just about done with Gio’s room and getting ready to move on to Isabella’s room I’ve rounded up my favorite rugs for her room below. These circular rugs are also great options for our reading nook in Bella’s room, I just adore them! If you are currently looking to furnish any room of your home with a rug, I highly suggest checking out Lorena Canals. They have so many options to choose from and you really can’t go wrong with a washable rug! I love all the rugs!! Can't wait to see Gio's finished nursery!!! 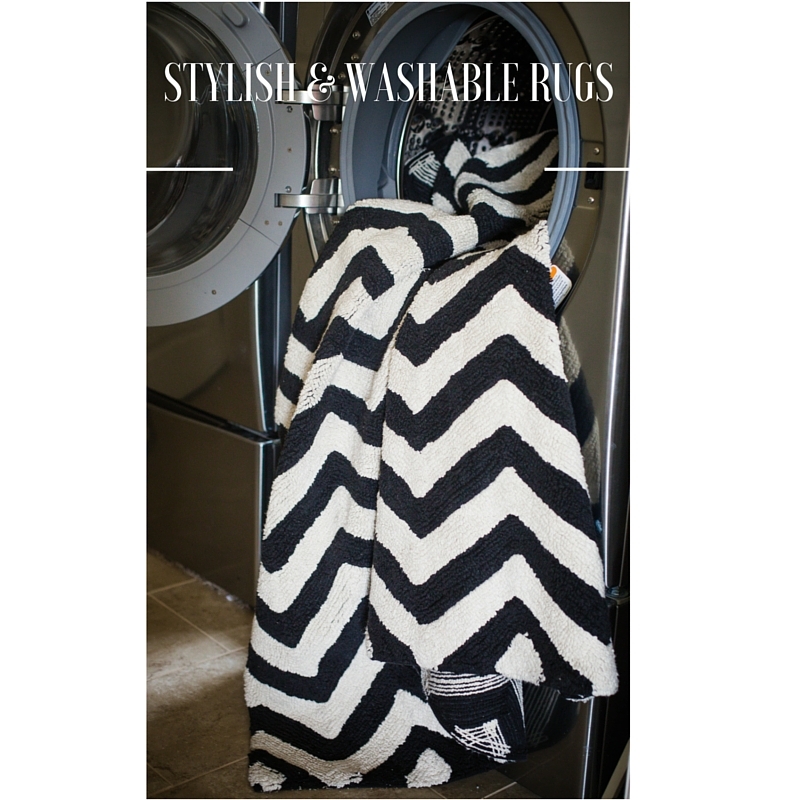 Does the black and white zig zag rug come in any other color? I love washable everything!!! Thank you for sharing this! A washable rug is just what I need in my house! You should see the stains on the carpet *shakes head*. Can't wait to see Gio's finished room! I LOVE that they are washable! They are so cute and I need it so bad!!!!!!! Oh my gosh, washable rugs! Genius idea! I hate trying to scrub stains out of our rugs, ugh! And they look so beautiful! Those rugs are adorable!!! And so is your baby 🙂 congrats!! Can't wait to see his nursery! And let's be honest being a girl mama I'm pretty excited about Isabella's room too! Those girlie rugs are way too cute! Washable rugs are BRILLIANT! And we have lived in our house for almost two years…and we still have a LOT of work to do. Haha! I love, love, love these rugs! And perfect timing because I'm looking for a rug for my little one's nursery right now!